Your browser may not support our Audio Format. 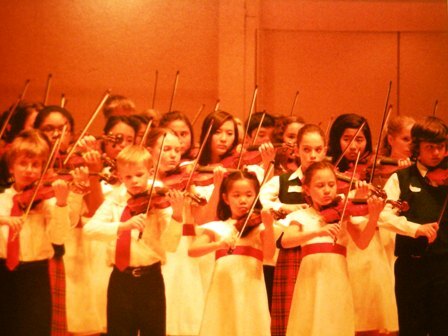 Betty Haag Academy of Music also offers outstanding Piano instruction for children of all ages. With four (4) Piano Instructors each with Master Degrees in Music. Our excellent staff includes: Cheryl Lim, Marina Lerner, Diane Leland, and Lily Li they bring more than fifty years of combined piano instruction. Our piano faculty presents our students in annual piano competitions, class recitals, and concert performances. Enrollment for private and group lessons are now being accepted for the Fall Semester (2018-2019). 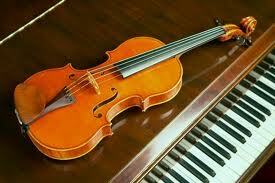 Lessons are offered in Violin, Viola, Piano, and Violin Group Lessons up to the age of 5 years. Please direct your questions and information to our Email accts: bettyhaagacademy@gmail.com, or hfkuhnke@comcast.net. 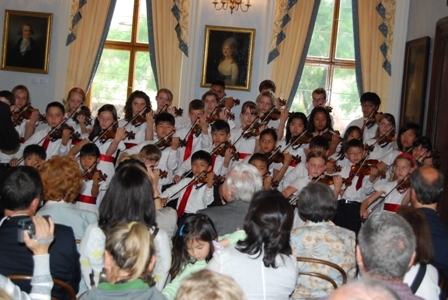 The Official website of Betty Haag Academy and the Magical Strings of Youth. All content copyright &COPY; Betty Haag 2002-2007. All rights reserved. Web Master: a3bplus@hotmail.com Wireless Wizards Co., 1516 N Elmhurst Road, Suite 2132, Mt. Prospect, IL 60056. Site design copyright &COPY; 2002 elfenworks LLC featuring sculpture by Lorenzo Cascio.